Dance at Rio & Learn. Cette première initiation aux charmes de la culture carioca a depassé mes attentes. Malgré des aptitudes personnelles tres limitées pour sambear, ce fut une très belle après midi; boa musica, bom professor e boa gente para curtir o momento! 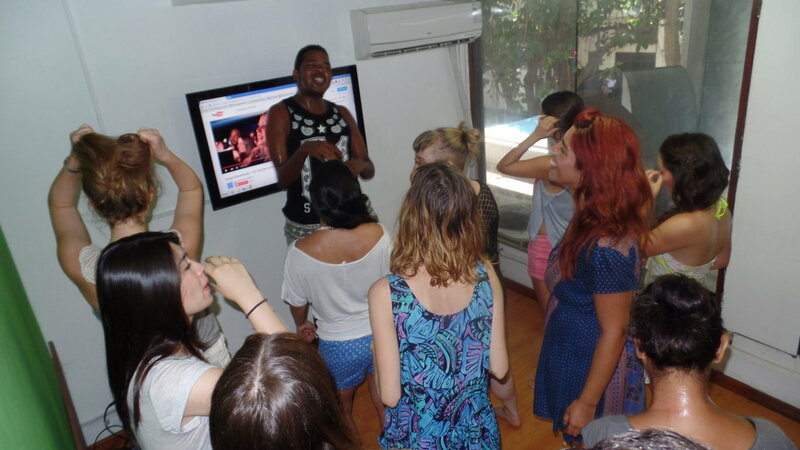 With carnival around the corner, nothing better then a little bit of dance at Rio & Learn. The rhythm was samba, a typical Brazilian dance that’s extremely popular in carnival. Only a few days till carnival, the cariocas already consider this week as the pre carnival, and many parties are already happening all over Rio de Janeiro. Our students were very excited with the possibility of learning their first samba steps. The teacher, Castro, started the class already with the impression that it would be one of the best samba classes he has had at Rio & Learn, and really was. 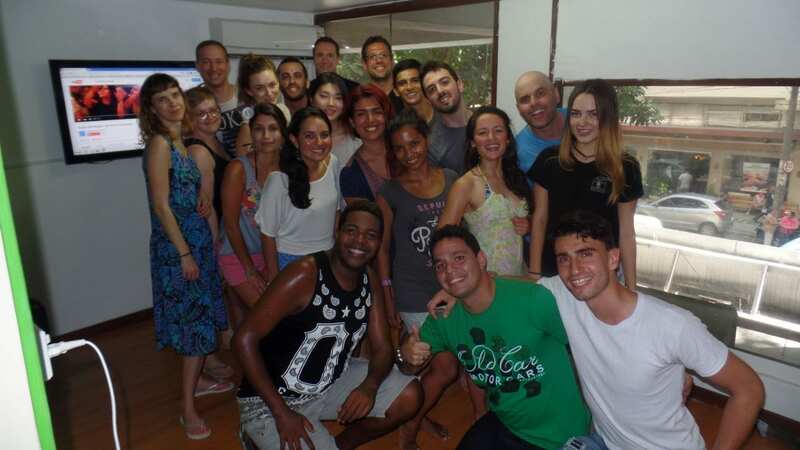 We had a lot of fun and practiced a lot of Portuguese. 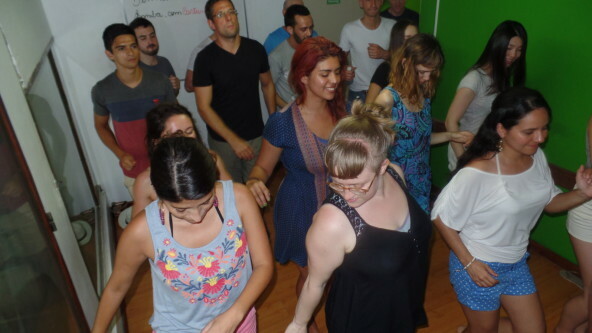 The students thought samba was really hard, but at the end they were all doing really well. 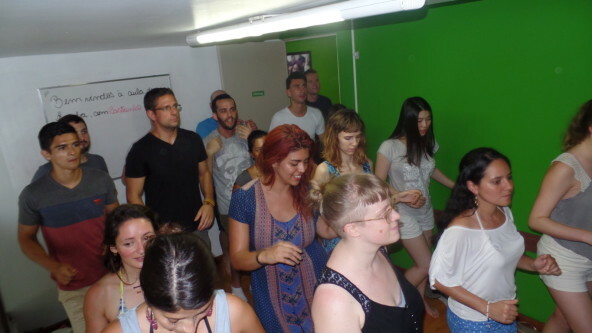 Having dance classes at Rio & Learn was so interesting that even the teacher Pablo got excited and dances with the students. It was an afternoon with a lot of dance, samba, Portuguese and fun. What a delightful Tuesday. Now we can say that we are ready for carnival. 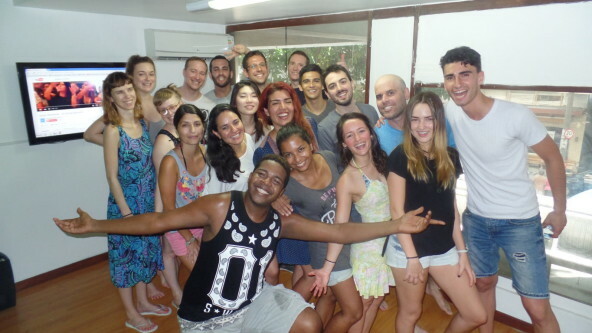 Let the blocos come so we can dance samba and speak Portuguese. 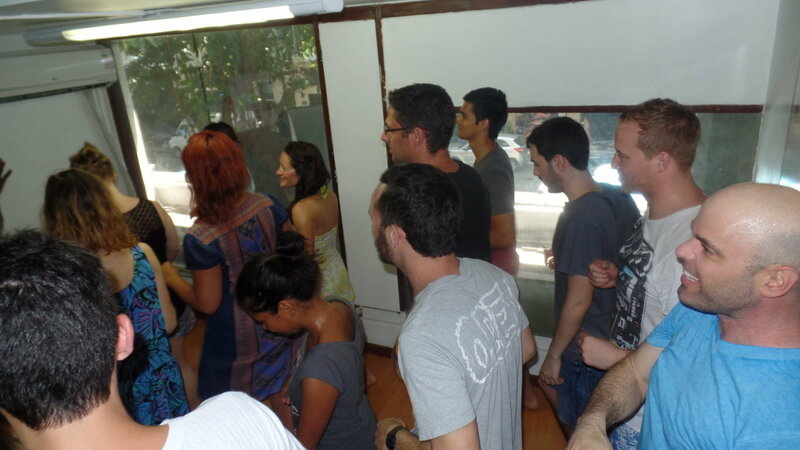 Come have fun and speak Portuguese with the RioLIVE! Activities.